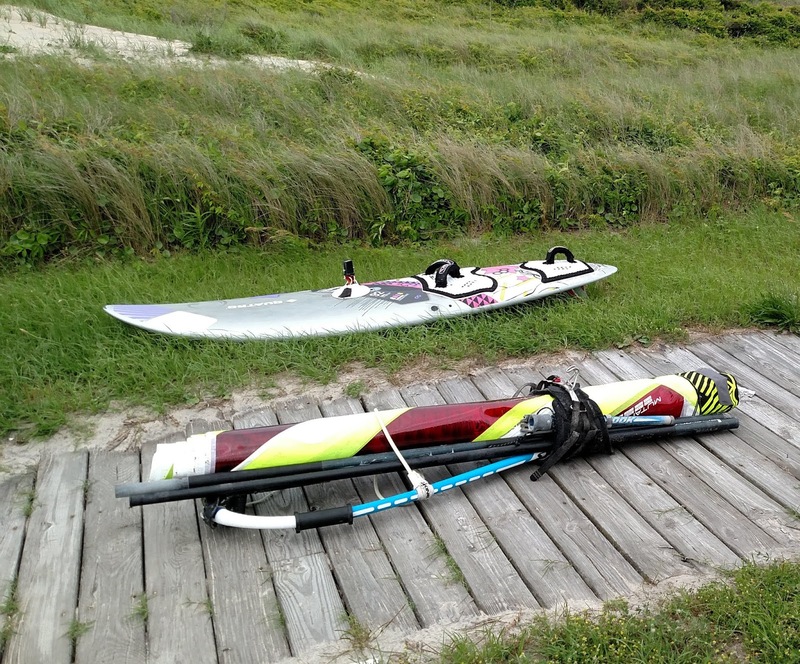 This past weekend saw a double header at Coquina Beach south of Nags Head. Strong S/SSW wind on tap provided fun wavesailing conditions complemented by a little swell in town. 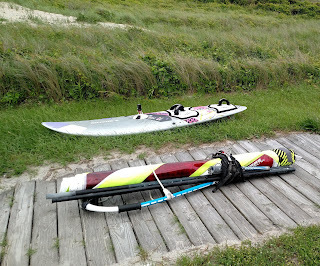 Surf Saturday ranged waist to head, while Sunday was smaller in the waist to chest average. The tide lined up well with afternoon sessions each day providing waves on the mid/outer sandbar. All in all, a fun two days, perfect for my “green” condition, given I have not been wavesailing at the frequency of past years! Though two more entries for the May calendar…, hopefully the next session will not be too far off…just need another swell complemented with the S/SSW wind?! This entry was posted in Beach Life and tagged Coquina, days. Bookmark the permalink. Nice Swell at Coquina Beach Yesterday!